The moment you get engaged, people are swarming with a variety of advice. From “never go to bed angry” to “your wife is always right”, people have a lot of words to share with others who are about to tie the knot. And, like any young wife-to-be, I listened when people shared these words with me. I respected people’s life experiences and wisdom, and knew that they had much more experience being married than I did. But there was one statement that came up every now and then that made me feel a little odd. And I kept hearing it throughout our first couple of years of marriage. Even now, I still hear it occasionally. It was never directly stated, but rather implied. 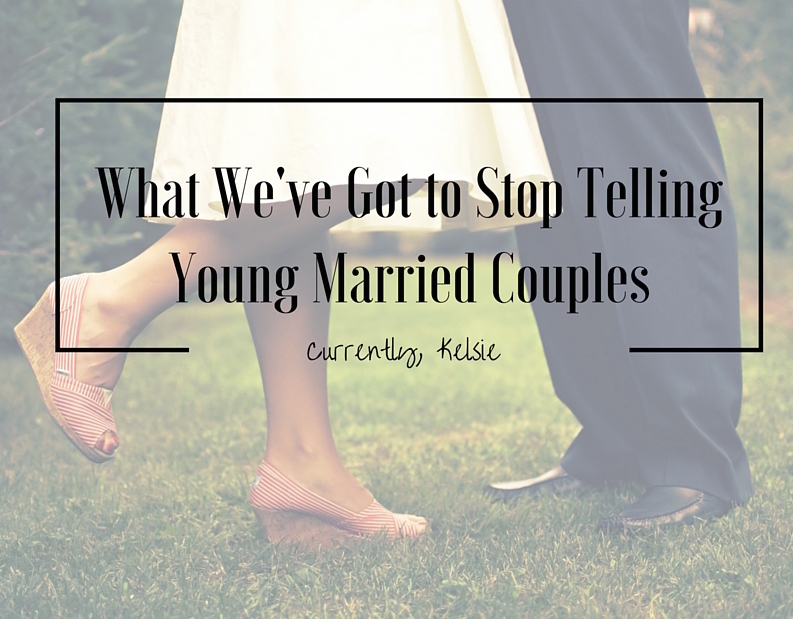 And it’s something we’ve got to stop telling young married couples. We’ve got to stop telling them that marriage stinks: that it will only go downhill from here. That they’re going to fall out of love. That they are just going through a stage and that they won’t care for their spouse after a little while. That their marriage will become an inconvenience that they're annoyed by. We’ve got to stop telling them, “Oh, you’re still newlyweds.” or “Wait until you have kids.” or “Someday you won’t feel that way about them.” And while those implications may very well be true for some people in some marriages, why should we push those thoughts onto people who are just journeying into marriage? How does that provide them with hope and the opportunity for growth, set them up for success, or make them feel supported? It doesn't. Yes, things change over time. Marriage can be hard. Stages of live bring new challenges and competition for our time and energy. Life will change, and so will every husband, wife, and their marriage. But they can change together. Just because they’ve been married for ten plus years doesn’t mean they won’t like each other any more. Just because they have babies doesn’t mean they suddenly won't care about the one they fell in love with. These statements may be true for some marriages, but we don't need to interject them upon young couples who are madly in love and just starting out. What sort of hope are we giving young folks embarking on the adventure of marriage when we essentially tell them they’re doomed from the start? I’ve seen first-hand several marriages that totally go against these assumptions, so why not strive for those types of relationships and work together to support and create a healthy, thriving marriage? So what can we tell people just starting out in marriage? We can be real. We can tell them it won’t be easy, that it will require more grace, patience, and forgiveness than they could ever imagine. That they will learn more about themselves than they ever thought possible, and that they will have moments where they are at their lowest. That there may be seasons where they’re frustrated, or where the butterflies go into hiding for a while. I’ve felt at times like people have written off Aaron and I's love for each other as something that will fade, something that is not the norm, something that is in some way not valid enough to last. I’ve never felt like people were directly saying our marriage would end, but rather that I will dislike my husband someday, or that he won’t love me. And yes, we all have our moments. But it’s hard to hear people assume that. Especially when we are working and praying to keep our marriage healthy and strong. 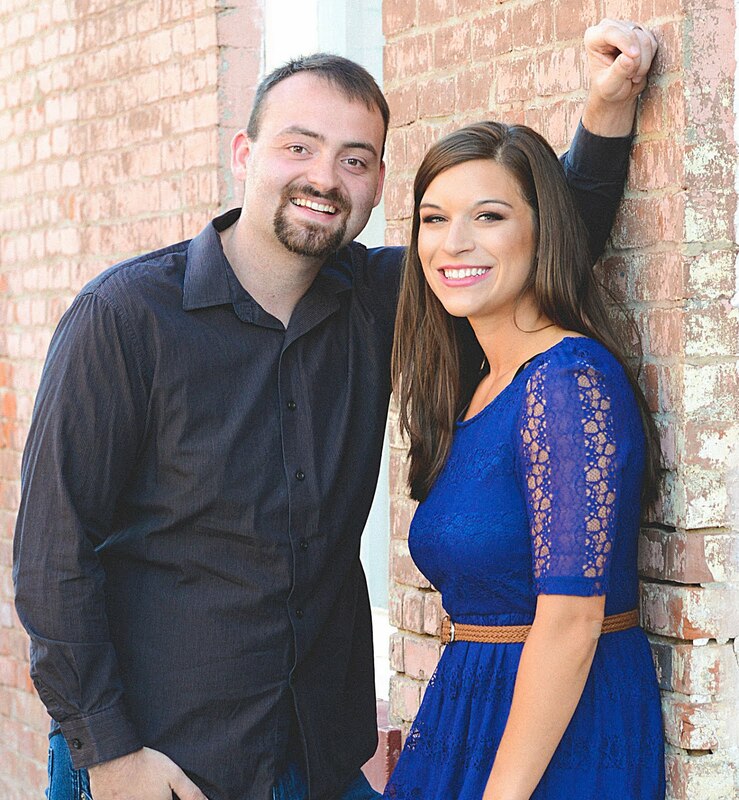 We are navigating through changes and choices with the Lord as the center of our marriage. We're happy. And we’re grateful to have wonderful friends and family cheering us on. All married couples deserve that chance. So let’s build each other up in marriage. Let’s surround and support our married friends and young engaged couples. Let’s be real, and share our struggles with each others in trusted friendships and relationships when needed. But let’s stop telling young married couples that marriage stinks. Let’s stop setting the timer on their love and just waiting for them to become "unhappily married ever after". Let’s celebrate and encourage them through changes and stages of life. Let’s help them succeed. I love this post. I hate when people always look down upon someone or tell them they don't know how it's going to change. Everyone's journey is different and let people live and enjoy their lives and relationships. Thanks, Alanna! I agree. Everyone has such a different situation and marriage. This is such a true post! We just got married in November and we hear these things all the time and I sit back and listen and then when they leave Timmy and I just look at each other like..why would they even say that to us! Seriously people say that. Marriage is wonderful, my husband and I are going on our 35 wedding anniversary this year. Ignore or better yet when someone says that respond with how wrong they are. It's crazy, isn't it? Congrats on 35 years! That's amazing. Thanks for being such a great example to us all! Kelsie, I'm so with you on this, and it aligns with a blog post I have cooking on the back burner : ) It always bothered me when my friend would tell me that I thought I was happy in marriage but really the love and marriage doesn't begin until we had kids. I thought, he must just not understand our love and marriage and brushed it off. Now that I have a daughter, I at least see what he was talking about - and yes, he was right, but I would still never say that to someone!! I feel like it undermines the relationship - oh, and some people don't or cannot have kids, so telling that to someone really doesn't sit right with me. Thanks, Lindsay! I think these thoughts are on the minds of many. I love your perspective on this- that you've seen what he meant but that you still wouldn't put that on to others. You're so right- so many never have babies, so that's essentially dismissing their love as less than something that they'll never have. Thanks for sharing! It's important to be honest about the challenges we face we marriage sometimes, but to do so in a positive and not negative way. I agree with you! Amen to that, Marette! I think there is a time and a place, as well as a level of relationship that is kind of "required" in that. Beautifully said! Part of the joy of marriage is that you've found someone who will support you and cheer you on through all of these trials and tribulations and you will do the same for them. I make a point to avoid saying anything negative about my husband, especially to my family. It's not worth giving them a bad impression of him if it's just a frustration. I do vent sometimes, but I always put it in a compliment sandwich. It helps remind me why I love him when I'm frustrated too. These people who tear down others and their relationships seem very bitter to me. Thank you, Nicole! I totally agree with you. I'm also stealing the idea of the compliment sandwich- that's such a great idea and so true (mainly in a safe place with others wives who are trusted and focused on a godly relationships too). I'm with you- it does seem bitter from others. Thanks for sharing! This is a topic that I'm so glad many of us have been standing up for lately in the blogging world. It's shocking that people who have such a godly knowledge and respect for marriage would talk about it so begrudgingly! It's time to be psyched about marriage! Well written. Me too, Joy! It's been fun to see us young folks start to stand up for marriage and for our own ideas on it a little more. I agree with you- we shouldn't be throwing marriage under the bus. Thanks for reading! My brother had a great toast at my wedding... "I hope you look back on today and realize that today is the day you loved each other the least." Love changes and grows and becomes so much MORE through marriage. Great post!!! That is so beautiful! I LOVE that toast! I love that too! So much! Thanks for sharing, Joyce, and for reading :) I love watching love grow! Great post!!!! I'm lucky to have never been one to take in comments like that as a whole. I know we shouldn't judge, but judging someone's "fruit" I think is completely acceptable. Especially if they are freely giving you advice about marriage! If there marriage stinks and they are freely speaking down about their spouse...forget it, I don't want their advice because they are not producing the fruit for themselves that imitates a godly marriage, so how can they possibly help me have one? When I want advice or direction, I always look at the fruit of the person I'm asking! Thank you, Savannah! You bring up a great point- we have the right to stop and look at the situation they themselves are in, and to closely consider the validity of their advice. I love your perspective and wisdom on that. Thanks for sharing! This is so true! Marriage is hard and life and life-changes make it harder. That doesn't mean every marriage is doomed to fall out of love, it means that we should go into to it knowing that it's work, but worthy work. Work that bears fruit and leads to some of our happiest moments. Love this whole post and perspective. Thank you, Emily! You are so right, in all that you say. Thanks for reading, commenting, and sharing your heart! Love love love this post! People don't really realize how negative it sounds when they make those comments. Yes, our marriage will change over time because WE change as people. I'm not the same person I was five years ago (thank goodness) and five years from now, I will be even more different. The beauty of marriage is that you've got a partner to go through all of life's changes with them by your side! Thanks SO much, Kalyn! You're right. I don't think they mean poorly, but it does come off so negative. I am also grateful to see how I've changed, and it's so fun to have my hubby along for the ride- cheering me on and changing with me! I agree with your points! I hate hearing, “Oh, you’re still newlyweds.” and “Wait until you have kids.” For us, we were together for 6 years before we married. Now we have been married for 5 years, so I think it is safe to say the newlywed stage is over. We don't have [and may not have] kids, so it is harder to understand some things. At the same time, that doesn't mean I am unable understand kid related things. On a happier note, I do love how we have changed together over the years. It isn't easy, but it makes a marriage stronger when working together. I met my husband when I was 15, so there has been LOTS of growth. We've learned so many things as a team, like learning to communicate properly, how to press each others buttons, and how to love one another. A marriage needs the good, the bad, and the ugly to work. Oh Erin, I am so with you in the changing together idea. My hubby and I first met when he was in middle school and I was in 10th grade. It's been cool to see us change separately with the Lord, and then have him bring us together, and then see how he is changing us together and making us stronger together. You are so right- it's so fun to learn all of those things together and to remain committed to each other through it all. Thanks for your beautiful words! Yes! I love this so much!!!! It drives me crazy when I hear people giving other people the idea that marriage isn't happy all the time. Marriage can be whatever you want it to be and if you're willing to work at it, your marriage can keep that newlywed, happy, life has never been better feeling ALL throughout life! Thank you, Amberley! I enjoyed reading your post today :) I love the idea that the newlywed feeling can last forever- kids and all. Thanks for sharing your words! Great post. I hate the link "wait till you have kids" the people saying that don't know the story, the ones they say it to could be struggling with infertility or just plain don't want kids. People need to focus on building each other up instead of all the tear downs. Love your ending! i'm not married but i'm in my twenties so this is definitely stuff i have heard said to friends of mine. i wish there was more encouragement! I agree, Michelle! We are quick to complain and give negative ideas to others, but not so quick to encourage! Wonderful post! My favorite response to "Oh, you're just newlyweds!" At the time, it was We've been together for 8 years. Now it's "Oh wait until you've been you've been together a decade!" Honey, we've been together for 10 1/2 years, married for 2 1/2. That usually makes them shut up. Also, the "Never go to bed angry"...yeah, sometimes it's better to go to bed angry than risk saying something you'll regret. An evening of tense silence is easier to work with than stinging words. Thanks, Cori! Ha. I love that. And yeah, I have definitely gone to bed angry sometimes, and it's been good to have some cool down time before making up (sometimes we even make up at like 2 am ha). I love this! It is *so* discouraging to hear people knocking down marriage or only discussing the hard stuff. I'm a newlywed over here and I've found that perception to be really prevalent and REALLY frustrating. Loved your perspective on this! I totally agree!! So glad that you enjoyed this other perspective. I promise there are lots of us out there cheering newlyweds like you on and celebrating marriage and how great it is :) Thanks for reading! I can tell you after 15 years of marriage you are completely right. There are times I have woke up wondering who this man I married is. There are times that frankly I don't like him much, but I haven't fallen out of love. Marriage is tough and yes the head over heals feeling goes away but what replaces it is much better. I feel sorry for couples who think you fall out of love, why get married? That is sad.... I think they misinterpret that "lust" for "love" or decide you have to have your heart race at his sight to be in love. True love is loving someone when you don't necessarily feel like it. When you come out of the period of hardship, what you have is so much better! Ah! Thanks so so much! I really appreciate your words of honesty and wisdom. I know just what you mean, even in the almost-three years we've been married. You are so right- lust vs. love is a big confusion, and love is a choice daily. I love seeing our love grow. Thanks for your great comment and for sharing your heart! THIS! I wish this was the conversation people of influence had with me! It would have been so much more encouraging! I am blessed that we did have some of these types of encouraging comments with those we know and trust. But I've had plenty of the other with those who just gave "advice" in passing. I think we all need to be better about intentionally encouraging each other! Thanks for stopping by! Yup! We always heard that the first year of marriage is super hard. It is for some people, but it really wasn't for us. And please stop asking "when are you going to have kids?" the second the ceremony is over! I agree with all of that, ha! If you haven't read my post about 9 Reasons I'm Afraid to Have a Baby from last week, you should check it out. I talk more about my kiddo perspective there :) Thanks for reading! I know just what you mean. Far too many people try to give a sense of doom and gloom over marriage...and act like an easy marriage doesn't even count as real marriage experience. I've been married longer than most newlyweds (this year it'll be 6 years)...and all I'll ever say is that marriage can be a grand adventure. I'm looking forward to what the years to come will bring, regardless of what the doom and gloom puddleglums may say. Amen to that, Rachel! Marriage is the best adventure ever, and we've got to stop hating on it! FOR REAL. Great post, Kelsie! I have been thinking about sharing something similar that's been on my heart. Loved this. I love that, Amanda! Thanks for being steadfast in getting your comment through :) I admire your willingness to share your story, and I don't doubt your wisdom at all. You're right- marriage is hard and wonderful and so worth it. I think sometimes people don't put that positive spend on it at the end. Thanks for your words and well wishes :) I appreciate it and you! Thank you, Kristin! I completely agree with everything you shared! I am so thankful to have faith as the center of our marriage, and I love seeing how God makes us stronger together than apart. It is such an amazing picture of his love for us, even when we are at our worse. Understanding marriage in that way helps me understand my relationship with the Lord and just how good he is! Thanks for reading! So much YES to this one! I think people really want there to be a clear-cut list of steps to a successful marriage, or they want to be able to specifically pinpoint where their own marriage failed, but speaking to young married couples in absolutes is dangerous. Thank you, thank you friend! I agree. There are elements of truth and wisdom to all types of vulnerability and being "real", but no one should ever press their reality on to someone else. Kelsie, I could not agree with you more! When my husband and I were getting married I can remember being overwhelmed by all the negative talk about marriage. I asked my mom through tears if anyone liked being married. She assured me that they did. Thank you for your honesty. Visiting from Modest Monday. I love that your mom gave you some solid assurance in the midst of some not so great advice. Thanks so much for visiting, and for your kind words! I love these so much. So often we hear people saying how terrible marriage is or joking about how it's the end of it all and that always made me so angry. five years later, I'm still the happiest I've ever been...so it can't be that bad! my least favorite was always "DONT HAVE KIDS TOO SOON." maybe that doesn't work for everyone but I have loved growing our family immediately. Thanks, Lauren Jane! I'm so glad you're happy, and that you were blessed with a family right away! I love this post the comment "“Oh, you’re still newlyweds.” or “Wait until you have kids.” or “Someday you won’t feel that way about them.” Is so true! People (my co-workers) try to tell me that all the time, and it gets so frustrating! I agree, Kara! I know sometimes those comments have elements of truth for others, but they don't have to interject them on us ha! I remember hearing similar things when we were newlyweds. Marriage is tough but the most beautiful experience. People will always have an opinion. Agreed, completely! Thanks for reading! What a great post! It's true that people try to project their negative future on everybody else. Perhaps it's the way they see marriage in general, as a commitment that they need to fulfill- rather than a covenant they get to enjoy. After being married for almost 20 years and having 5 kids, I can say that it's not going to be easy. And apart from God, nothing usually is. But with God as the center of our marriage, there is a hope that we can cling to during the rough times. Linking up with you at Tuesday Talk! I agree- I love that point. A commitment versus a covenant makes a huge difference. You are so so right- with God as the center, we have something to cling to throughout all the times (good and bad). Thanks for sharing such wisdom with us! This really speaks to me. I'm not yet married, or even engaged, but the BF & I are on that track and people know that. All over the place there are already people making these negative comments to us & specifically to him, encouraging him NOT to get married. How terrible. I agree. It needs to stop. Stopping by from Twinkly Tuesday! I'm so glad this speaks to you! Hang in there. People have this negative connotation of marriage and what comes along with it, but they often don't speak to how wonderful it can be. Blessings to you! Thanks for stopping by. Loved this post! 4 years in and people still say the same things "wait til you have kids" "oh that will all change" it's so sad to think that the best things someone can muster to say are negative. I'm with you! Lift up the spirits and hopes of newly weds!!! Thank you so much! You are so right- let's be positive and encourage others with hopeful ideas and reality! 100% agree with you, Kelsie! It seems to me that some people just can't stand that someone is happily married or in love. There might be bad days, sure, but why put a negative spin on everything and say, it won't last long or wait till you have babies. Every life changing event comes with its own challenges and I feel that love will only grow stronger with each challenge we face. Instead of being supportive and encouraging/appreciative of others love for each other, its just sad that people want to pick on it and hurt other people's feelings. Thanks so much for your comment! You are so right- it's like they can't stand it. I'm with you- love can grow stronger! I love this post and your heart, Kelsie! I do feel like it's just completely rude when people use phrases like, "The worst is yet to come," and "Just you wait until ____." Like- you don't know my relationship. And let's try some positivity! Great post! Aww, thanks so much Chelsea! I'm with you on all of that. Thanks for reading, and for sharing your words! I absolutely loved this post! It's so negative to tell a newlywed couple that it will only go down from here. I think that while things do change throughout your marriage, you can definitely make it work without having to fall out of love. Thank you, Keating! You are so right! People need to be more vocal about how great it is and can be. I love marriage! This is a great post! I think there is so much "advice" out there that people want to give, when in reality I feel like a lot of it is cliched stuff that people say but actually don't have much basis in truth. I got married quite young and people kept trying to "help" with all sorts of bizarre things and weird advice that frankly terrified me. You're so right that we need to built each other up in marriage-- be truthful but don't go throwing around some unhelpful advice like you won't feel that way about each other forever. Thanks, Hannah! I agree completely. Great post-mariiaige is hard but it is good too! I would definitely recommend it-going on 20 years now after a proposal of 6 weeks! Love my hubby! That is awesome! Marriage is the best. Thanks for reading! This is beautiful. It's so interesting how often people say "Well just you wait..." rather than offering encouraging advice. Thanks for sharing. Thankful, Emma! You are so right. If people are going to give advice, it needs stop be helpful and uplifting with problem solving ideas! Amazing post and such great advice! I got married young and everyone always asked me how I knew for sure I would still love him in a few years and it would make me so mad. Why do we set marriage up for disappointment and failure? It's such a wonderful thing! Thanks so much, Katie! That s upsetting for sure. Marriage is the best! It is so true how prevalent that mindset is. At the time that my now-husband and I got engaged, he was working part-time at Wal-Mart's garden center while going to university. Thus, he worked with a lot of middle aged men. When he told them that he had gotten engaged, they all bad-mouthed marriage to him, and we were totally baffled that anyone would talk that way to someone newly engaged. Yes marriage is hard work, but as you said, we need to build each other up not discourage them. That's so sad! I totally agree, and am glad you're loving married life! Exactly! 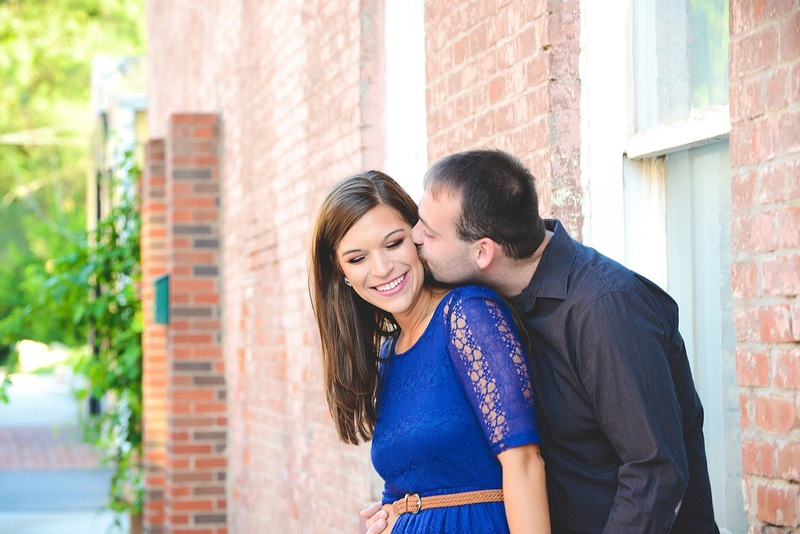 Thanks so much for your comments, and for pouring into the lives of soon-to-be married folks! I have heard both of those statements countless times. It also drives me nuts when I am continually asked, "when is the babies coming?" To me we have a hectic life with school, jobs, blogging, full time teacher, and so on. Why can't people give us time to be married before pushing the idea of babies. Great post and something I will share! Ha! Amen to that! I have a whole separate post on that questions ha. I agree- I want to enjoy being married for now. Thanks for commenting and for sharing! YES! I love this!! I got married almost 3 years ago at 22 and the second I got engaged, the "warnings" came. I think it was definitely worse since I was young. I think that in a way, people were just projecting their own opinions and disappointments with their own lives or marriages onto me, but that doesn't make it okay. And just wait until you get pregnant - it all start over again! People would tell me how terrible being a mom was going to be, and I was just like.. can you please stop?! Thanks so much, Morgan! You are so right. I have a feeling people will be the same way when I'm pregnant some day. Hoping some of them will give me good, helpful advice! Amen! What a great post! We're in the engaged stage now and I'm so tired of hearing some of those things that you've mentioned. Thanks so much, Chesson! I'm sorry you've been hearing those things! Yes! And this goes for young mothers too. I hate anything that starts with "Just wait until..." Apparently, everything gets worse with time according to them. What a depressing life they must lead. We should respond back in charity and hopefully help show them that they can grow stronger in their relationships with their spouse and children over time! I agree with you - let's encourage each other in marriage, parenthood, and in every stage of our lives! Thanks for sharing this with us on Tuesday Talk - I'm featuring it this week on the blog and social media! Loved it! That's great news!! Thanks so much for sharing. I'm with you, I hate "wait until" also. You have some great ideas that I wish people did more often. Encouragement for the win! Thanks again! Thanks for the beautiful post. We need to build each other up and give engaged and newly married couples the tools they need to have a long lasting, rich and fulfilling marriage. I admit I'm guilty of saying things that may have been more harmful than helpful. But that's in the past. Now, I choose to be a source of encouragement. Although, it's so easy to say things we shouldn't. Everyone seems to say those things. It's become the norm and we can easily let those words slip out of our mouths if we're not careful. Thank you for the reminder that we need to be more intentional with the words we speak to young couples about the reality of marriage. Thanks for reading! That's so great that you're choosing to be encouraging! That's so key- and it's definitely hard to be positive sometimes. Thanks so much for sharing your heart! I agree, I have several best friends getting married/recently married right now and I've even heard these comments spoken over them! I really believe we need to do everything in our power to encourage and support marriages, they're hard work enough as it is! Couples need to believe that they CAN do it and CAN love each other just as much (if not more) in the future. So true! I feel like there are tons of negative comments about marriage! I love this. It's so funny how when you're dating, everyone always wants to know when you're getting married. Then, once you're engaged, they are so quick to say how terrible marriage is. Sometimes, I think people feel like they have to say that, or they really are so unhappy themselves. But, it's no reason to ruin someone else's happiness. Really great post! I love this. Another one of my biggest pet peeves when people know I'm engaged. Is they tell me I'm too young and I won't understand what it takes to make a marriage work. Which I find very insulting because that statement doesn't help me in anyway. Thanks for sharing this post, Kelsie. From one that has recently celebrated a 25th anniversary, I can tell you that it *is* possible to stay happily married. Yes, I have heard people say it's really tough and 50% of marriages end if divorce, blah, blah. My perspective is that each relationship is different. Frankly, I don't have to "work hard at being married." It just works. Maybe I'm lucky (or lazy? )-I don't know. But I think there are no universal rules. I've even gone to bed mad before (shockers!) and yes, things work out - no problem. My point is that you can certainly hear what others say, but I agree that others should not say "just you wait -- it will change!" Every couple finds their own path. Best wishes on your own journey! My partner and I get these kind of comments, and we're not even engaged. We've been together over 5 years and we're 22/23 years old, so we're still super young and constantly have older people telling us that marriage changes everything, but we're not worried. We're a fantastic team who have already lived together for almost the entire duration of our relationship and don't want any kids, so I don't see what a simple piece of paper is going to change between us. So sorry this happened! I agree we need to build each other up, not tearing each other down. All marriages are different. I agree with all of this! I'm not yet married, but a lot of people always warn me off marriage saying it's not worth the hassle lol. I can't tell you how many people had negative things to say about marriage to me! I honestly found it very distasteful and it came off really bitter. I know there are challenges in every marriage but I hope to never be the bitter person who is so resentful of their own life that they have to spew anger on someone else's wedding day, ICK! Thanks for sharing your positive perspective on a very negative topic.